Big data is here to stay. We show you 10 ways to access and make sense of your user behaviour data to boost your business. As an online marketer, you may have noticed that today's industry is becoming increasingly metrics and data-driven. Managing a digital marketing campaign consists of various stages and complexities. As you proceed through each stage, the need for a deeper understanding of your user behavior increases. You're still getting started with your digital marketing campaign, building a solid marketing strategy and becoming familiar with Google Analytics and any other tools you might need to track basic metrics. Your day-to-day work might begin to demand a deeper understanding of user data – you are now thinking about user intentions, preferences, and usage patterns. In order to address these issues, you might need to correlate data outside of Google Analytics or ask deeper questions about your users, such as which paths users take on your website or how to do advanced segmentation. Answering the complex questions raised in step 2 can only be done with the help of advanced Google Analytics features, or tools with more advanced analytics and visualization capabilities, such as web analytics dashboards, customer experience and session recording tools, heatmaps, and BI technologies. Getting to know these new technological areas is crucial in order to gain a deeper understanding of what users are doing on your website and how to improve business results. But there is a major knowledge gap between basic (or even proficient) Google Analytics usage and this additional set of technologies. Before you drill into a specific metric or technology, you might need to take a step back, widen your perspective, and improve your understanding of the changing industry and the growing complexity of the space. This step entails becoming more familiar with the entire space of web analytics, customer experience, BI/big data, and more. You need to get a feel for the different technologies and methodologies, which to choose, and how to utilize them correctly to perform deeper analysis and answer your burning questions. Whether you eventually plan to branch out into a professional web analytics career or just need to become more knowledgeable about web analytics techniques and technologies, some basic first steps include picking your first web analytics tools, reading a few leading books and blogs (and possibly an official course), and getting some hands-on practice. Here's a post by Cardinal Path on how to do this. It's important to get an idea of the BI and big data space. But finding comprehensive online reading material that offers an overview of BI/big data, as opposed to a tool-specific discussion, isn't easy. One solution might be to take a free course to get a feel for the main concepts, central questions, and basic terminology in these areas. One place to start might be IBM's Big Data University, which provides free learning paths for big data, data science, and even Hadoop fundamentals and programming. 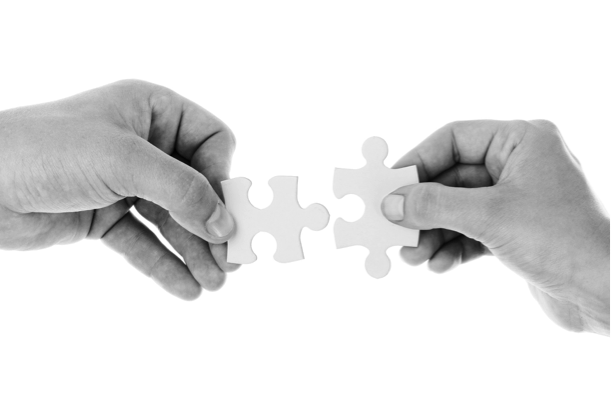 Even though BI technologies might seem overwhelming, one way to get acquainted with the world of BI is to try out a few BI tools and understanding how they can be leveraged for marketing purposes. See this article about BI tools for marketers with Technophobia. Based on a recent article by Marketing Land, marketers need to understand how to apply data science methods to available data, and trends such as automated data-driven engagement and using a combination of creativity and science might be the answer. Having a mental map of the topics and resources that exist in the space can be a big help in overcoming your learning curve. Even if you can’t read everything, knowing which topics are important and which are the important resources for each topic is a major time saver. 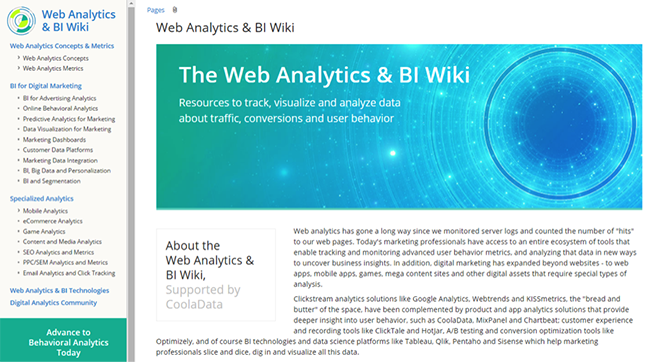 One way to get started in this direction is to navigate the content tree of the Web Analytics & BI Wiki, which includes a structured list of topics and resources from the ecosystem. As visualization capabilities become more prominent in both web analytics and BI technologies, it's more relevant than ever to figure out the broader concept of data storytelling – how to use a combination of information, visualization and narratives to tell a successful story with your data. See what Forbes have to say about data storytelling. Customer experience technologies (including tools such as heatmaps, session recordings, and more) offer a different angle on user behavior and allow you to zoom in on the paths users take on your website. Ask yourself if such tools are needed for your organization and how they fit into your broader CX strategy. See this article by ExitBee about the top 10 technologies used for improving the customer experience. Figure out the different ways in which data can be used to build personalized marketing tactics. Some main tactics include segmentation and analyzing social media data. For more, see this article by Forbes. Video and streaming are becoming one of the major ways to deliver content and engage users on websites. Review your existing video technologies and discover what might be missing. For example, see this article by Convince & Convert about how brands are using live streaming video successfully. However, as you introduce new media with advanced apps and streaming technologies, make sure you're aware of security issues. Understanding the traffic streaming into your website using network monitoring an network testing is important. A good place to start is to become familiar with concepts such as security testing and application visibility (for example, Cisco's AVC package or Ixia's BreakingPoint are common network security testing/application visibility tools). 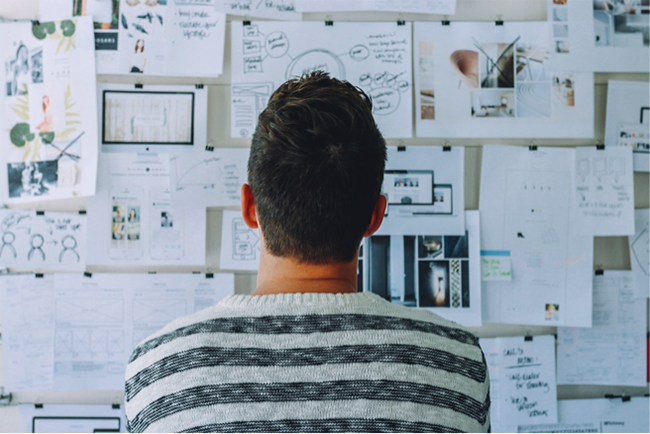 In this article, we've identified five stages in building your marketing strategy, highlighting both the complexity of your role as online marketer and the types of challenges that may lie ahead. As discussed, gaining deeper insights with regards to user behavior is key to keep up with the competition for user attention and retention. We illustrated 10 ways to help you widen your perspective, and understand where to start your journey in becoming an expert marketer. The knowledge you accumulate will not only guide crucial marketing decisions, but will also define how you handle your marketing strategy on a daily basis. You never know when your research of a specific trend or technology might pay off, leading you to that one tweak that will make your website stand out from the competition. Where are you located on the path to gaining a deeper knowledge of your data? Are you already an expert on anything web analytics, BI, and big data? Or are you just getting to know the space? Let us know in the comments about the tools and technologies you're using or how you self-train when a new challenge presents itself .